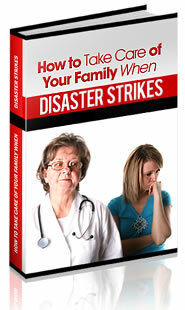 Most of us would agree that at any moment we could find ourselves in a disaster or other emergency situation. Even if this fact is only lurking in the back of the mind just below consciousness, the statement is no less true. Anyone can suddenly be thrust into an emergency situation or have a disaster land squarely upon them quite unexpectedly. How well one survives or IF one survives may be a matter of luck. Far better to invest some time and effort in survival preparedness. Survival preparedness for the purpose of this article is not a call to be constantly fearful of impending doom and disaster skulking around every corner, or to hoard great caches of dried beans, MREs, bullets, and gold then hunker down with your stash in some remote area. More realistically, survival preparedness is the act of obtaining knowledge of and practicing basic survival skills, gathering survival gear, food and water together into emergency survival kits. These kits can then be placed at easily accessible points in the home, car, office, etc., or on your person. The size of the emergency kits and the items that will contain will be determined by the scenario for which they are intended to be used; lost in the wilderness, stranded in your vehicle on a lonely back road, recovering from the aftermath of a tornado or other disaster. Always include fire starting items, items to build an emergency Shelter, survival tools, a medical kit, signaling device, emergency lighting, containers of water, and rations. There are many helpful web sites that describe complete lists of items to include in emergency survival kits of all sizes. In any emergency situation strive to remain calm. Use your mind. It's one of your best survival tools. Initiative belongs to the individual. Make the time and effort for prudent preparations toward your own survival and that of others. Do not risk suffering the consequences of taking no action at all. Survival after all is alive at the end of an ordeal.